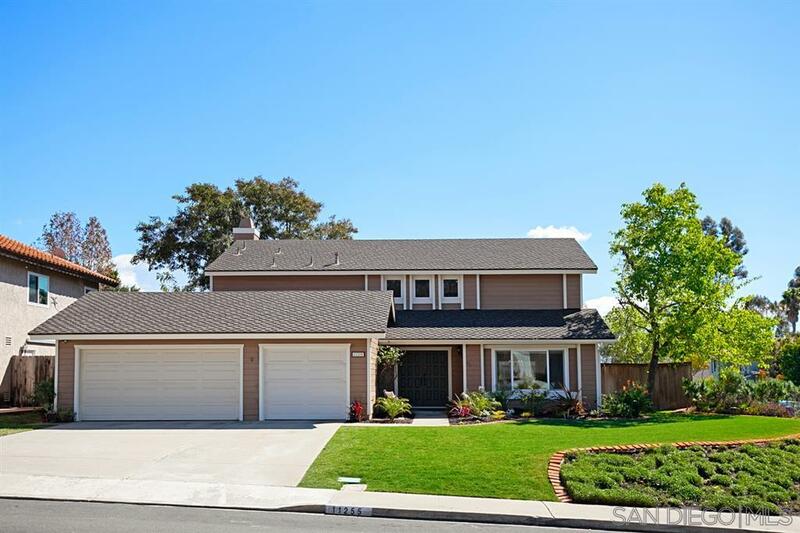 Beautiful Scripps Ranch home on a quiet street with a large corner lot. This home has gorgeous flooring through out, fresh & modern designer details, oversized living room and dining room, family room with fireplace, granite counters & stainless steel appliances in kitchen, updated bathrooms, dual paned windows and so much more. Great backyard for entertaining and plenty of rooms for the kids to play. Swim & Tennis Club membership can convey. Very close to Lake MiraMar, top rated schools and shopping!